Fresh flowers will bring a smile to anyone's face, so let us help you brighten someone's day! We offer a wide variety of flowers and designs to suit every need. Whether you need an birthday bouquet or a funeral spray, we can accomadate any occassion and budget. We are available after hours and on weekends for funeral consultations. What can be more fun!!! Taking a bride's dream and making it a reality is what we do! We offer complete wedding coordinating & day-of services to make sure every aspect of your special day goes on without any problems! We have packages to meet any budget and offer silk and fresh flowers. Planning a party can be stressful, so let us help take some of the pressure off! From tableclothes, catering and cakes to DJ services, we have vendors to accomadate all your needs. What's better than a beautiful arrangement that lasts forever! We use the highest quality silk florals to give you the look of natural, fresh flowers. 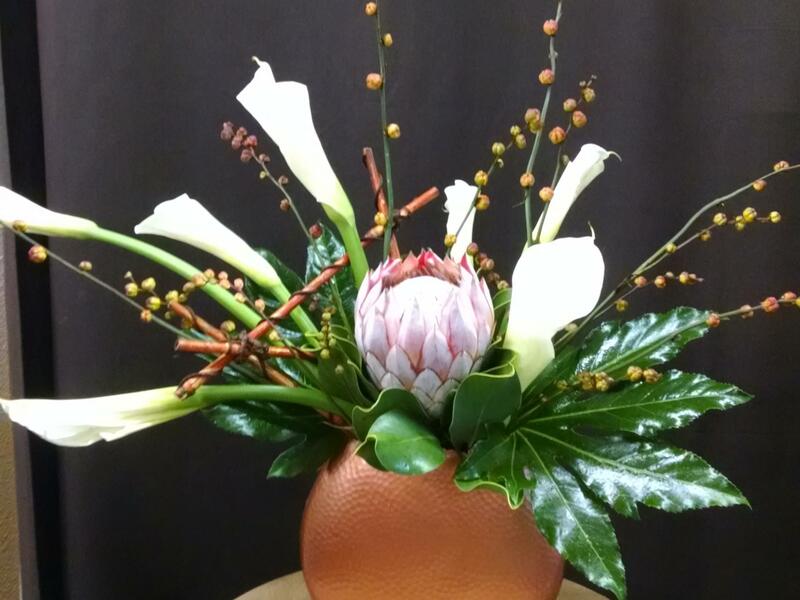 We love taking our customers ideas, spaces and colors and making a one of a kind arrangement that brightens their home. Perfect for your home or a gift, we have great lines of home decor pieces such as wall art, candlesticks and more. All the finishing touches you need to make your look complete. And don't forget something to make your house smell great! We carry an awesome line of candles and room sprays in a variety of smells. A mother-daughter team who have been working together since 2000. We started our shop with a plan to make our customers feel like friends and their houses beautiful! We specialized in silk arrangements and home decor, featuring Christian gifts. As their needs changed, we ventured out to wedding & party decorating. And when they needed us to take care of their loved ones who passed or to deliver their love on Valentine's Day, we moved on to fresh flowers! We love taking your ideas and seeing them come to life in a way that makes you smile. We have been told our shop is a "quiet place in the middle of a crazy day" and we are happy to share our quiet with anyone who needs it. In a world that is so busy, we hope to show God's grace and love in everything we do.